We know investing in public provident fund (PPF) is a safe investment option with attractive interest rates. The scheme falls under EEE regimen i.e. Principal, Interest and Withdrawal all are tax exempt. 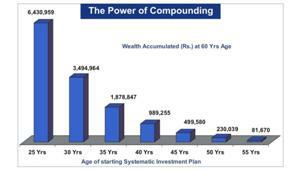 There are two options for investing in PPF account, either directly through post office or with authorized banks. In today’s generation, people opt for online facilities for paying bills, premiums, shopping, etc since its easy and hassle free. Also, working class finds it difficult to transact physically in PPF account through a post office or bank branch. It takes time to update the passbook and also to transact with bank while depositing the amount in case of physical transaction. So, banks such as SBI, IDBI and ICICI are now offering an online PPF account facility which is more convenient than visiting post office for each transaction. You need to operate savings account with bank to link PPF account with online services on your login. In case, you have a relationship with ICICI bank for more than 5 years then submit form A, passport size photograph and a copy of your permanent account number (PAN). However, if you have relationship with ICICI bank from less than 5 years, then you need to submit residence proof (copy of passport or telephone bill) along with other set of documents as discussed. To get access to your online PPF account, next step is to subscribe to net banking facility. Then, it’s possible to convert your physical PPF account with the bank to online service. You need to give an application to your bank branch where PPF account is held with details of savings account to sync the accounts and services. You can transfer funds from linked savings bank accounts easily on a regular basis. You can transfer your existing account to other bank offering online PPF account facility. For this, you need to submit an application for transfer of your PPF account with the existing bank. 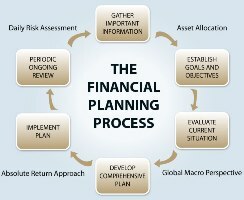 They will process your application form and transfer PPF account to another bank as requested. At new bank, you need to submit account opening form, nomination form and fulfill KYC requirements. Customer having an online PPF account will not get a passbook until you give a written request for the same to your bank. For fund withdrawal from online PPF account you need to visit bank branch and process remains the same as physical account holder follows it. Till date, no, banks have started option of online withdrawal from PPF account. Seems, Ministry of Finance is making investments convenient for investors by going online route. Earlier, employee provident fund (EPF) account was brought online and now PPF account has also gone online with banks. Now, transacting in online PPF account is just a few clicks process like all other online payments, making life easier for customers.